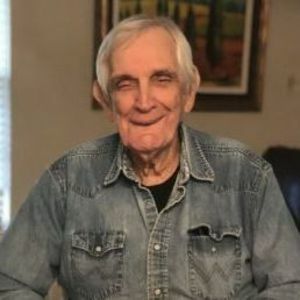 Robert B. Rottman, age 89, died peacefully on Thursday, April 11, 2019 at Richard Murphy Hospice House in Hammond, Louisiana. Robert lived all his life on his parents' farm in Ponchatoula, where he worked side by side with his dad growing strawberries, sweet potatoes and peppers. Even though Rob had disabilities, he was a hardworker and enjoyed his time on the farm. Rob loved all people and he never met a stranger. Most people did not know Robert by name, but remember him riding him riding his yellow bike all over town. He rode his bike until the age of 85. Robert is preceded in death by his loving parents, Cecile Charbonnet Rottman and Percy Rottman of Ponchatoula. A graveside service will be held on Monday, April 15, 2019 at 10:00 AM, at the mausoleum in Ponchatoula Cemetery. The service will be conducted by Deacon Larry Melancon. The family would like to extend a special thanks to Dr. Smitty Smith; all the nurses and therapists in Telemetry Unit at North Oaks Medical Center; Stacey Howard; Amy Nesbett, Rob's caregiver; and last, but certainly not least, all the wonderful people at Richard Murphy Hospice House who made Rob's last days on Earth so comfortable and peaceful.